Van Metre Homes is a homegrown builder with a reputation for blending the enduring traditions, quality and value you expect from us with design innovations for the way you live today. Mid-Atlantic Builders offers the finest new homes, custom-fit for your needs and lifestyle. Choose from our extensive portfolio of home designs, and we'll tailor-fit your home to meet your needs now, and 10 years from now. Want that wall moved? We'll alter our home plans to suit your family because we recognize that the details matter. No production builder anywhere can provide the level of personalization that we do. John Lavery has marketed and sold new homes in the Washington, DC metropolitan area since 1984. In 2004 Mr. Lavery became Partner. He continues to manage Mid-Atlantic Builders sales team and adjust the company’s marketing strategy through an ever-changing economic climate. Current projects he runs are Woodmore North, Beechtree and The Villages of Savannah, all in Prince George’s County. As the president of University Group I have over 27 years of experience in the building business. Our company designs, builds and renovates homes, office buildings and light commercial spaces. Faber Custom Builders specializes in quality custom construction with a personal level of detail and craftsmanship in every project. With client trust and satisfaction at the heart of our approach to the homebuilding process, Hartley Homebuilding is passionate about building homes of enduring quality and craftsmanship. What’s the most important step in building a new house from the ground up? Many people would say it’s choosing the right South Riding home builder. Constructing a new house is a huge and multifaceted undertaking, so it’s important to find custom home builders in South Riding, VA you can trust to bring your vision to life, as well as keep the process under control from start to finish. Although a construction job is never without surprises and challenges, a South Riding, VA home builder who’s a good fit for your specific project will make these far easier to handle. For South Riding residential home builders who also act as developers, the job starts well before the first nail is driven. They perform local market research to determine whether the prospective homesites make sense in the South Riding, VA market, as well as survey the land on which the house will be built to make sure it is suitable for construction. Custom builders also obtain the necessary permits. 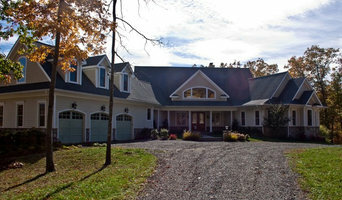 A good custom home builder in South Riding, VA has skills that go far beyond construction — he or she must supervise subcontractors and artisans; keep tabs on local zoning regulations, building codes and other legalities; inspect work for problems along the way; and perform dozens of other roles that are essential in building a quality house. Here are some related professionals and vendors to complement the work of home builders: Interior Designers & Decorators, Landscape Architects & Landscape Designers, Architects & Building Designers, Kitchen & Bath Designers, Specialty Contractors. House builders are responsible for ensuring that the home-building project sticks as closely as possible to the specified timetable, particularly in the event of change orders. Custom and luxury home builders in South Riding, VA also need interpersonal skills to deal with clients of all types, soothe frazzled nerves, negotiate conflicts and resolve problems. 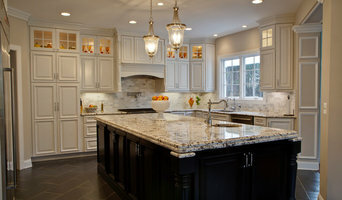 Find custom home builders in South Riding, VA on Houzz. Narrow your search in the Professionals section of the website to South Riding, VA home builders. You can also look through South Riding, VA photos to find a house you like, then contact the builder who worked on it.